The Japanese luxury street brand enters the stretch run of its final year of operation with a special Nike collaboration. Following a series of deluxe collaborations with Neighborhood, visvim, F.C.R.B. and even Mercedes-Benz, mastermind JAPAN will enter the stretch run of its final year of operation with a special Nike collaboration. 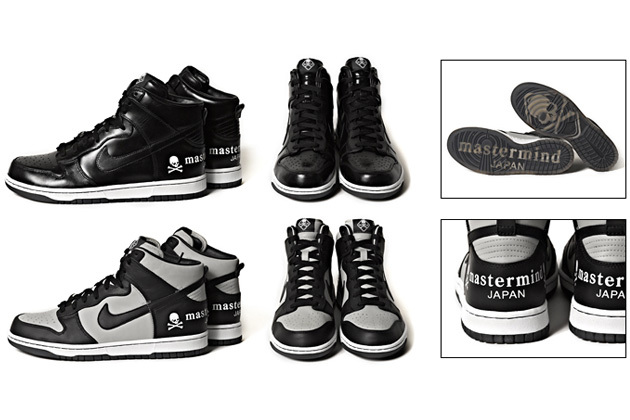 The Japanese luxury street brand adds its signature aesthetic to two colorways of the classic Dunk, with skull and crossbones logos and mastermind branding marking the tongue, heel and outsole. The mastermind JAPAN x Nike Dunk High Premium pack will release at Dover Street Market Ginza, Isetan Shinjuku and Hankyu Men's Osaka on Saturday, December 8.